Back to our originally-scheduled program. 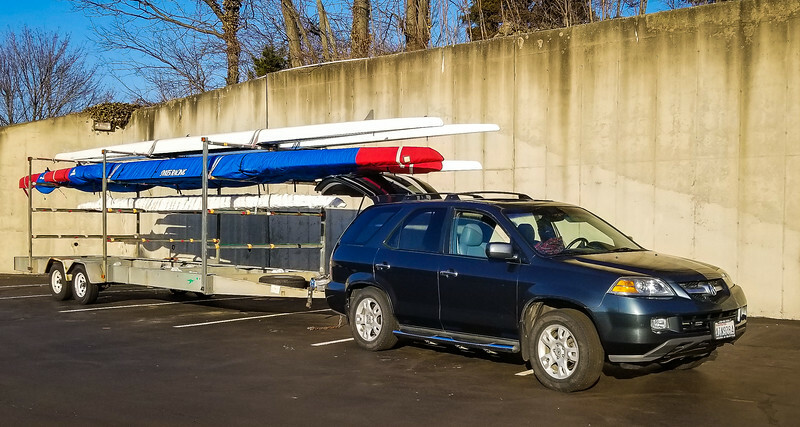 Here's Richard's car hooked up to Richard's boat trailer. After a two day delay, we're finally ready to start the long trip back home.